What is the “field test” known as Horizontal Gaze Nystagmus Test? Most current police investigations of suspected drunk drivers involve administering a DUI eye test commonly called (by police officers) the “HGN.” HGN is the abbreviation for “horizontal gaze nystagmus,” and is also referred to as the “horizontal gaze nystagmus test.” This evaluation was approved by the National Highway Traffic Safety Administration (NHTSA), in 1984, as a standardized field sobriety test, to be used in driving under the influence cases. Like the walk-and-turn and one-leg-stand evaluations, the nystagmus test is a pre-arrest, voluntary, optional, screening tool that has questionable reliability—as done and where done—by 98% of all police officers. Don’t risk your liberty and your future criminal record to trusting police sobriety tests to clear you from being arrested for a DUI in GA. This statistic is a critical point, since the NHTSA standardized field sobriety tests ONLY had marginal claimed reliability when all of the medical clearance steps (done prior to starting each of the three evaluations), and all instructions are given correctly, and when the DUI suspect is asked, “Do you understand?” before starting each evaluation. Then, precise grading and administration of the HGN eye test is essential. DUI defense attorneys cannot do a complete job of critiquing police performance, without being an expert in the NHTSA field sobriety tests. How is the Horizontal Gaze Nystagmus Test performed? The goal of NHTSA, in using this screening procedure, is for the person suspected of driving under the influence of alcohol to focus their eyes upon and STARE at this target, during the 90 second to 120 testing procedures for the nystagmus testing. If done in accordance with the Southern California Research Institute’s (SCRI) guidelines, the stimulus must be maintained at a constant elevation and distance from the DUI suspect’s face, (i.e., at between 12” and 15”). Plus, the stimulus was to be positioned no higher than “slightly above eye level” (which means at about eyebrow level) and then moved is a controlled, standardized manner across a lateral, level plane. After medically qualifying a test subject, and looking for equal tracing by passing the stimulus across the person’s field of vision twice, the three categories of horizontal gaze “passes” will begin, and flow smoothly through all three phases, with no new instructions or warnings. The officer is looking for “cues” or “clues,” which occur from very minor side-to-side movement of the eyeballs, as the eye tried to track and focus upon the stimulus. In the world of medicine, a similar medical screening exam is used to look for head trauma, but is called “lateral gaze nystagmus.” So, medical science does not recognize the police-created “HGN test” which is not used to detect concussions or head trauma, but is utilized to claim that a certain number of “cues” or “clues” were observed by a law enforcement officer trying to perform the horizontal gaze test. The alcohol nystagmus test is used by police as a so-called field sobriety test, but it is only an indirect examination of a person’s eye “saccades” (jerks from side-to-side), to see how much “nystagmus” may be present. 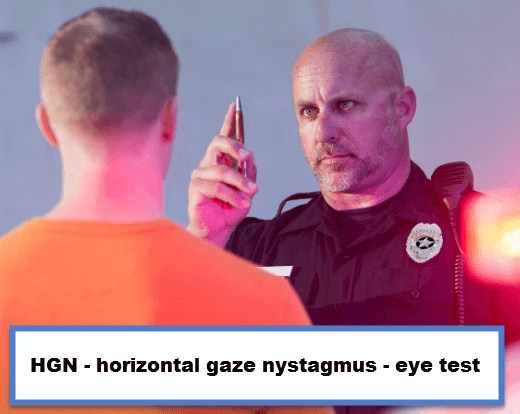 Over 45 OTHER horizontal gaze nystagmus causes are shown in medical literature, but the police officers are trained to ONLY expect alcohol to be the cause of gaze nystagmus. 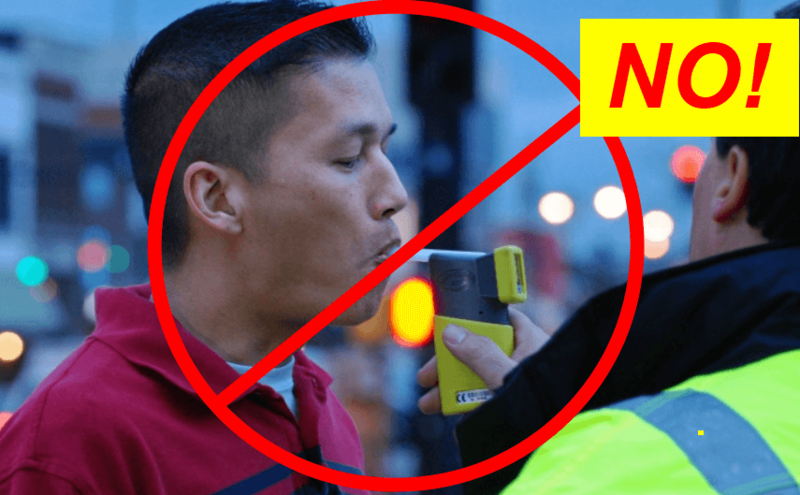 Also, for a DUI in Georgia, you DO NOT have to blow into any portable breathalyzer, at the roadway. This preliminary breath alcohol test is also a type of “field test,” and everything BEFORE being cuffed is optional and voluntary. If you had consumed no alcohol, and blew into it, the police officer then SHIFTS the investigation to drugs, and starts interrogating you about the last time your smoked marijuana, prescription medications, etc. A well-trained DUI attorney, to competently represent a client, will need to have previously taken and passed the course on the same, exact police training. Many DUI lawyers (like the author and both of his partners) have taken the practitioner course multiple times, as well as the NHTSA SFST instructor course, multiple times. In fact, partner Atlanta DUI attorney Cory Yager was a police officer for almost 10 years, and used the HGN eye test over 1000 times, in performing drunk driving arrests. Traffic enforcement officers are permitted, under Georgia law, to make a DUI arrest when a certain number of standardized field sobriety test clues or cues are observed by a trained investigating officer. Despite completing training and receiving a certificate of competence, most officers cannot perform and administer each aspect of the three-test battery (HGN, WAT, and OLT) without error. Hence, false arrests for driving while intoxicated are made every day in America. 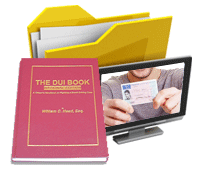 The average DUI defense attorney, unfortunately, cannot identify the errors, because most have not taken this advanced training. This is the best reason for limiting your search to DUI attorneys with full NHTSA field sobriety test training, to get a criminal lawyer who knows how to beat a DUI in court. A DUI lawyer who is a true specialist also will have completed the basic police officer training course on NHTSA standardized field sobriety tests, plus possibly have completed the ARIDE (a short course for DUI drugs) and the NHTSA instructor course for the standardized field tests. Knowing EXACTLY what police are taught, and then having researched the medical and evidentiary shortcomings in such testimony equips the best DUI lawyers to win, when an average DUI lawyer will plead you guilty. Without hiring a DUI attorney who possesses this advanced level training, and who has a comprehensive, “global” understanding of the scientifically-proven unreliability of these so-called “sobriety tests,” an accused drunk driver has little chance to win a DUI case. Never in modern medicine has the HGN test been used to determine a medical patient’s sobriety, or to guess his or her blood alcohol level. In a hospital setting, you will never see it being used for anything except head trauma or a form of congenital nystagmus. Even registered nurses, with many hours of medical training are not allowed to use the HGN eye test, to evaluate a patient. Yet, our federal government has sanctioned police officers with at least a high school education to utilize this bogus eye movement evaluation as part of the pre-arrest screening of a DUI suspect. The training they receive is cursory, at best. That is why virtually 100% cannot perform the HGN eye test, in strict compliance with the NHTSA manual. In the mid-1970s, using a federal grant from the NHTSA (a traffic safety division of the federal department of transportation), Dr. Marcelline Burns was a newly-minted psychologist (not a medical doctor). She had no training in eye disease or ophthalmology, but was desperate to find some type of roadside “evaluation” that might help a police officer (who was trying to decide whether to place a drinking driver in handcuffs) if the person was above the legal drinking limit. Across America, the number was 0.10 at that time). Fittingly, the Arizona Court of Appeals ruled that she was NOT an expert on the HGN test, because she had no sufficient training or medical education, to allow her to testify as an expert witness. State v. Lasworth, 131 N.M. 739, 42 P.3d 844 (2001). Even the world’s leading neuro-ophthalmologists cannot discern the cause of these many and distinctive eye movements, so how can a police officer? See Dell’Osso, Hertle, and Daroff’s article. The Dell’Osso team of eye specialists has identified over 45 causes of lateral gaze nystagmus, in humans. Hence, your DUI defense attorney may need to hire a DUI expert witness (or possibly two) to fight cases where a medical issue or a prescription issue has led a poorly-trained officer to mistake the effects of medications, and make an unjustified DUI arrest. You only get one chance to win at a DUI trial, so all pertinent DUI defense witnesses must be utilized. Driving under the influence cases are tough to win, and you need the very best drunk driving attorney at your side. 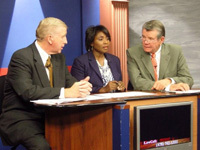 The key to beating an impaired driving cases (called “DUI less safe” in Georgia), is to neutralize the NHTSA FST evidence. The HGN test is a medical test. Police officers never receive medical training beyond “first responder” training. Just like the “proponent” of the HGN test, Dr. Burns, police officers are NOT experts in administering the horizontal gaze test. The use of the horizontal gaze nystagmus test is based upon a known medical observation (by trained medical professionals) that any central nervous system depressant – like alcohol – is one of things that will cause gaze nystagmus or saccadic movements of the eye. According to Wikipedia, a saccade is a quick, simultaneous movement of both eyes between two or more phases of fixation in the same direction. 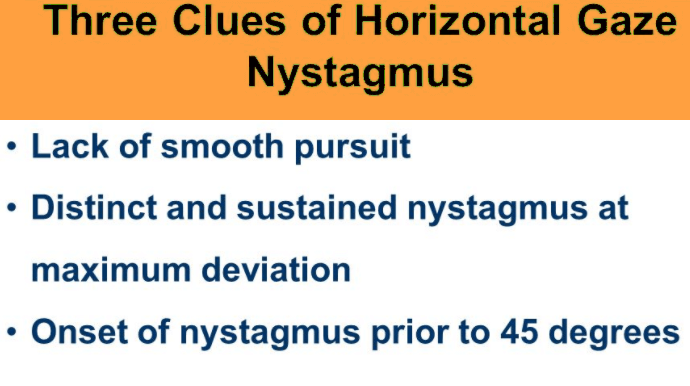 Alcohol nystagmus is the ONLY thing that the NHTSA SFST field test that relies on nystagmus testing is trying to measure. However, more than 45 other causes will trigger horizontal nystagmus or saccadic jerking of the eyes, ranging from inner ear disorders to prescribed medication, etc. DUI law seeks to punish those who are driving impaired, not those with an ear infection, vertigo, or anyone taking prescribed medications as directed, like Dilantin, which triggers this same jerking of the eyes. 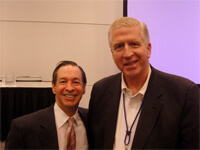 Bubba Head, DUI attorney Atlanta, fights driving under the influence cases alongside his two highly-experienced criminal defense attorney partners, Larry Kohn, Georgia DUI defense lawyer for almost 20 years, and criminal defense lawyer and ex-cop, Cory Yager. 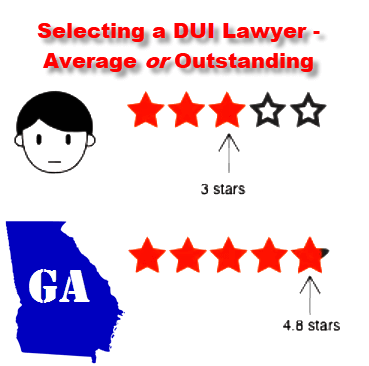 Our DUI defense lawyers’ ratings will rank favorably with the best lawyers in Atlanta, and are worth reading, in detail. 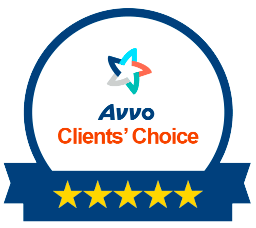 Plus, the DUI lawyer reviews for all three drunk driving lawyers tell the true story of dedicated criminal justice attorneys in both DUI and traffic ticket cases. When you need an Atlanta DUI lawyer who will travel to any court location in Georgia, call our DUI law firm at 404-567-5515. 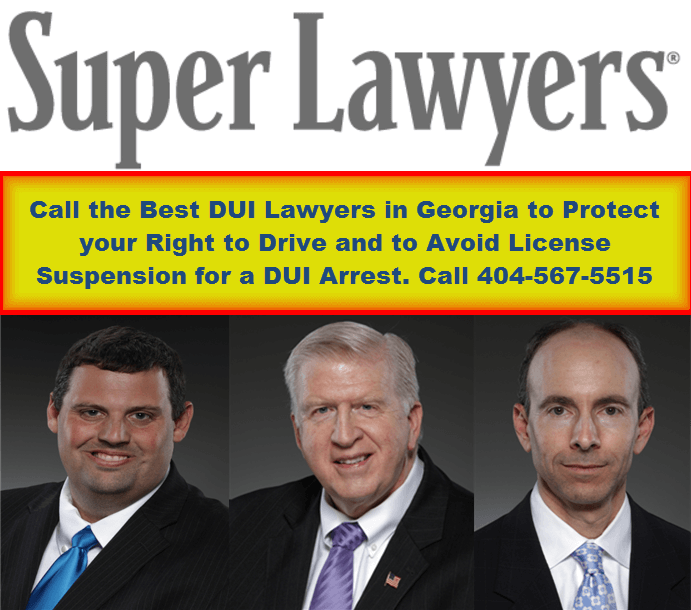 Get your FREE lawyer consultation, and case analysis, for a DUI in Georgia. Plus, come to our office and judge for yourself if you are meeting with one of the best Georgia criminal defense lawyers for your case analysis. Compare to asking doctors for free time at their office, and ask yourself: Why would I not get this FREE legal advice? What do you have to lose?